What would Molydeux? In about a week and a half, we're going to find out. That question, of course, is the name of the coming international game jam that will give game developers in locations around the world 48 hours to break into teams and come up with games based on the wacky game design ideas of Peter Molydeux, the evil satirical twitter-twin to the famous game developer Peter Molyneux. The game jam, which started as a half-serious idea tweeted by Double Fine programmer Anna Kipnis, quickly attracted interest from all corners of the internet and snowballed into an international game design shindig. Now officiailly titled "What Would Molydeux," it is scheduled to take place next weekend, from March 31st to April 1st. Dang, that's a lot of game jams! Contact info for each location's organiser can be found at the What Would Molydeux official site linked to below. 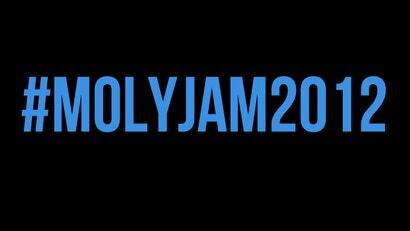 They've also got a Twitter account, which relays official information on the jam and will probably be fun to follow the weekend of the event itself. Any way you slice it, this is an impressive amount of enthusiasm for the ideas of a guy who started as a joke on Twitter. I'm really looking forward to seeing what all these people come up with. So THAT'S how you pronounce his name. Its growing and taking over the world!! Quick, somebody make a game about a game jam that just keeps growing and you have to stop it by turning people into boring accountants.